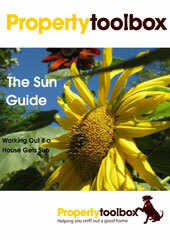 This eBook is a sunlight essential – giving you all the tools and resources you need to work out if a house gets sun. Sunlight is one of the hardest, if not impossible things to change about a house – so don’t be disappointed – work it out! This eBook spells it all out for you!